Fight fatigue with rejuvenatingBoost Oxygen® Natural. Safe, all-natural canned oxygen supplement is 95% pure oxygen to help enhance mental alertness without the caffeine or sugar found in energy drinks. Simply place the built-in mask near your nose and mouth, press the canister's lever to activate flow, and breathe deeply through your mouth. As your body's cells are replenished with clean, odorless, tasteless oxygen, you may experience increased stamina and focus. Sometimes I get winded, not enough to require O2 according to the docs but enough for me to try this. Because it sounds like something, I could use, when I feel tired, and a little out of breath from walking. To have in places my concentrator tubing won't stretch to. 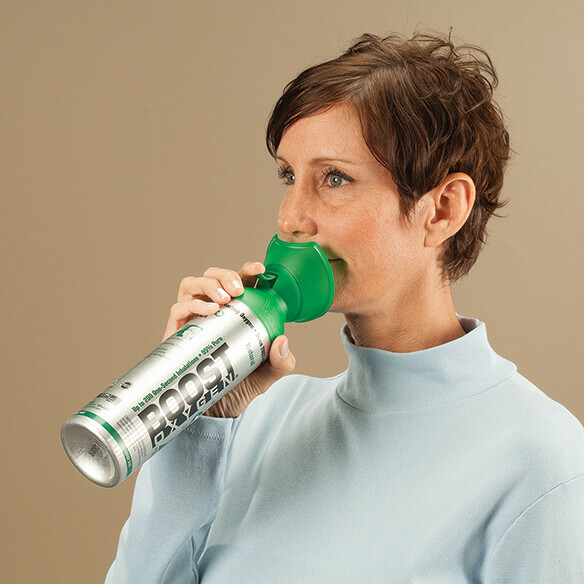 A very convenient way to get oxygen boost when needed. My son has an immune deficiency that affects his lungs. We are trying this to see if it helps. I am sometimes short of breath & am hoping this will help. Is the cannister recyclable when empty? Are there any possible dangers from using this? ie, rapid heart, etc. If so, what problems may occur? BEST ANSWER: Thank you for your question. No there will no negative side effects of using this item. We would recommend checking with your doctor and getting their opinion. We hope this information will be of help to you. 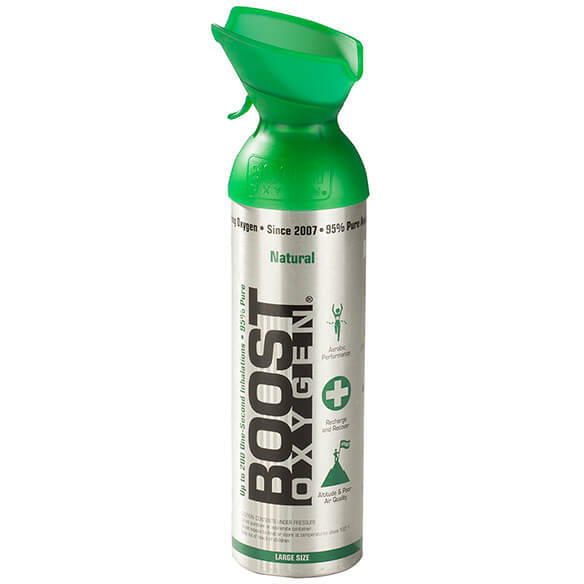 I have been using this oxygen for months now and never had a negative reaction, no increase in heart rate, no choking; just hold it up to your mouth, breathe deeply (through the mouth) and go on about your business. I have not had any danger, relied on this product a lot. Came in handy going shopping, didn't have to take my tank along. is it for one time use and then disposed? after the 150 sec does it replenish by itself the canister ? BEST ANSWER: Thank you for your question. Unfortunately this item does not refill. We hope this information will be of help to you. No, does not replenish itself. Look it up on internet to get more info or contact manufacturer.